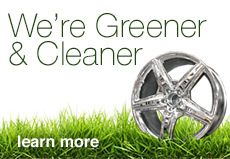 Our wheels typically ship within 1-2 business days after an order is placed. If there are any delays with your order, we will contact you immediately. If you need your order shipped out to you sooner, please call us directly (626) 319-9185. We ship all orders via FedEx Ground Shipping unless an expedited service is selected. Tracking numbers are provided on the day your item is shipped. Shipments to the West coast take 1-2 days, shipments on the East coast can take up to 5 days.